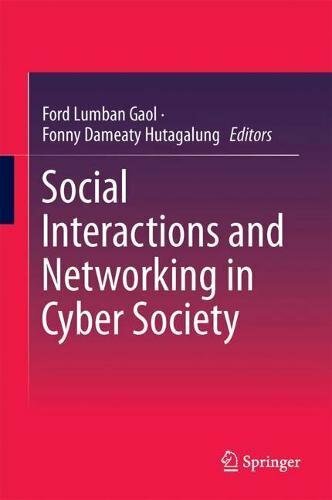 This book discusses the interactions between societies and examines how people behave in the cyber world. It highlights the effects of the Internet on individuals’ psychological well-being, the formation and maintenance of personal relationships, group memberships, social identity, the workplace, the pedagogy of learning and community involvement. The book also explores in-depth the unique qualities of Internet technologies and how these have encouraged people to interact across communities. It is a valuable resource for academics, practitioners and policy makers who want to understand the capabilities of Internet technologies and their impacts on people's lives.